Scott Magzen is the Energy PE Sector Leader and the MLP Sector Leader for Deloitte Tax. Scott has more than 16 years of public accounting experience, a portion of which was spent in Deloitte’s Washington National Tax Passthroughs group, where he focused on the taxation of partnerships, LLCs, and master limited partnerships. Scott continues to focus on the taxation of partnerships, including the use of partnerships and limited liability companies in initial public offerings, mergers and acquisitions, financing transactions, and restructurings. Scott serves some of Deloitte’s largest private equity clients, many of the firm’s master limited partnership clients, and a multitude of private equity owned portfolio companies. He has extensive experience serving clients in various industries including energy, financial services, and the power industry. Scott began his career at Deloitte in 2002. 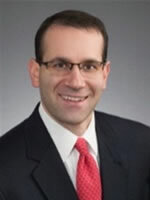 Prior to joining Deloitte, Scott was a member of the M&A group at Arthur Andersen.